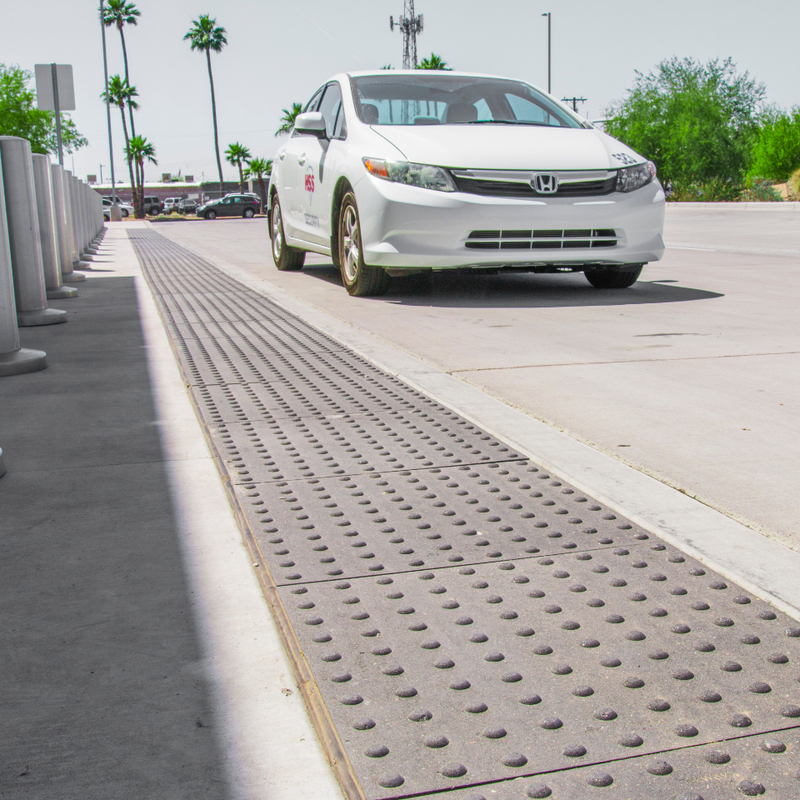 TekWay High-Performance ADA Systems are designed to fit virtually all curb ramp installations. For projects that specify new or different colors and shapes, we can work with you to make it a reality. The most durable and most reliable ADA domes available on the market. We welcome the opportunity to build custom products for your next project. 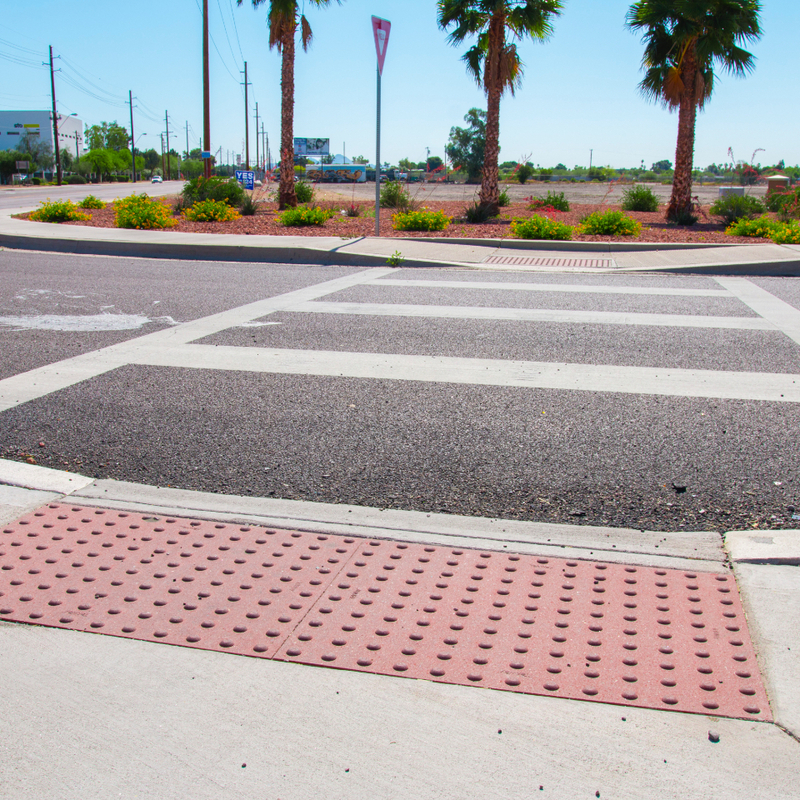 What are the different types of curb ramps? Intersections are rarely uniform in size or shape, and are a staple of detectable warnings. 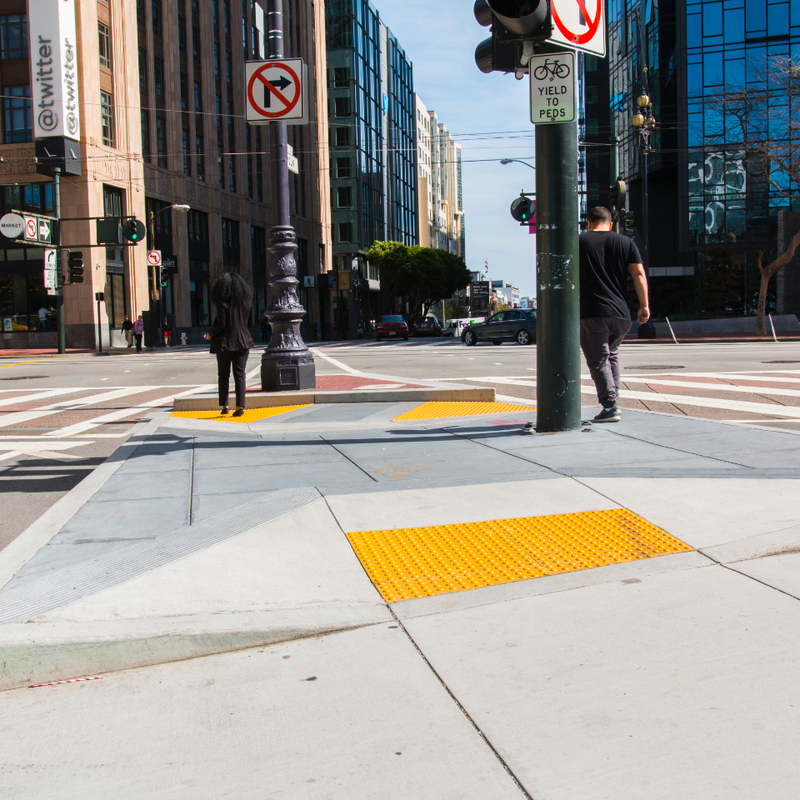 They provide a detectable warning at all corners of an intersection of roads, usually at the base of a ramp leading onto the street, providing safety for visually impaired pedestrians. Midblock is a general term describing the transition from a safe walking area onto a vehicular path, located midway on a path. These are unique to each location, and are generally found near parks or large public attractions. For pedestrians these are especially important, as they usually are located at seemingly impromptu spots along a safe walking path. Located midway between the two sides of a large intersection, islands provide a refuge on large thoroughfares for pedestrians to wait for the next crossing signal. These are very important on busy roads, allowing the visually impaired a safe haven from heavy traffic. Flush transitions is an overarching category of detectable warnings that lie in the transition from two areas of the same elevation. 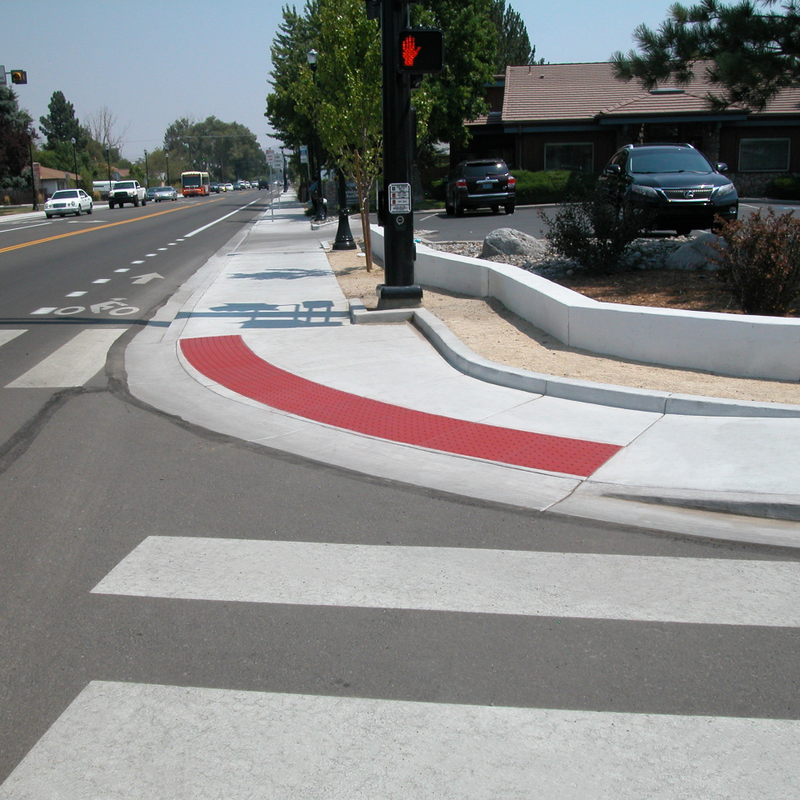 Normally, curb ramp detectable warnings are between two different elevations (e.g. from sidewalk to street), but often the difference between a safe walking area and dangerous vehicular path does not change in elevation.